Behold the story of Sophie Blanchard, an extraordinary woman who is largely forgotten despite her claim to being the very first female pilot in history. In eighteenth-century France, "balloonomania" has fiercely gripped the nation...but all of the pioneering aeronauts are men. The job of shattering that myth falls to a most unlikely figure: a shy girl from a seaside village, entirely devoted to her dream of flight. 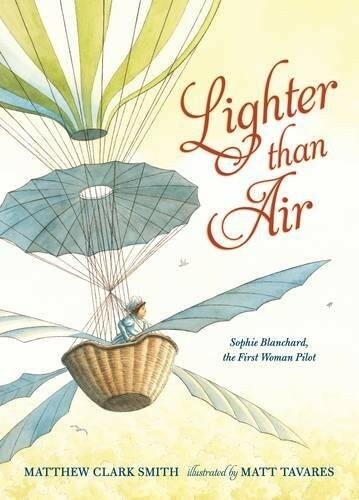 Sophie is not the first woman to ascend in a balloon, nor the first woman to accompany an aeronaut on a trip, but she will become the first woman to climb to the clouds and steer her own course. 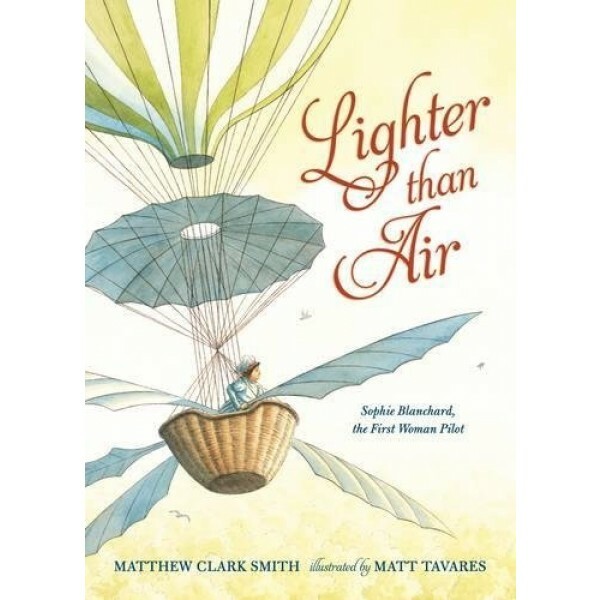 The words of Matthew Clark Smith bring Sophie's story to light after so many years, while Matt Tavares' atmospheric art and unique perspectives take her to new heights.